The Wilderness Safaris Wildlife Trust supports a wide variety of approximately 30 projects annually in southern Africa, within the categories of wildlife management, research and monitoring, and community empowerment and education. These projects address the needs of existing wildlife populations, seek solutions to save endangered species and provide education and training for local people and their communities. For more than 20 years, the goal of the Wilderness Wildlife Trust has been to make a difference to Africa, her wildlife and her people. A MESSAGE FROM OUR BENEFICIARY “The relocation will involve a high level of security during the operation, and after the release of the rhino. 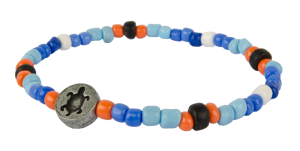 We are extremely grateful for the ongoing support of our sponsors including RHINO FORCE via their beaded bracelets, to ensure the ongoing success of this project. We are very confident that these animals will settle well and breed, given that the habitat is perfect for black rhino,” says Wilderness Safaris Group Conservation Manager, Mr Kai Collins. Pledge-a-Portion is a charity and fundraising business initiative based on our concept of embedded giving or building a charitable gift into another, unrelated, financial transaction. 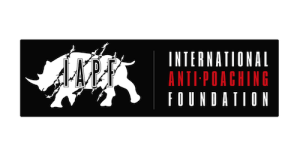 The IAPF is an organisation that brings key solutions to the front-lines of conservation, helping rangers to protect wildlife and surrounding ecosystems. IAPF develops, implements and manages: Anti-poaching ranger training, Conservation security plans, Anti-poaching operations, Wildlife crime information systems, Specialist technology and systems for anti-poaching operations, Field equipment procurement and supply. A MESSAGE FROM OUR BENEFICIARY “Having RHINO FORCE in our corner is a huge step in the right direction, we are truly grateful. We are fighting a world wildlife war and the rangers who spend their lives at the front-lines need all the support they can get. I don’t ask you to consider whether or not rangers should be trained or equipped to the genuine levels required, I ask if you will accept the outcome if we do not follow this path?” says Damien Mander, CEO of IAPF. The Chris Burger Petro Jackson Players’ Fund is named after two young rugby players who were fatally injured playing the game. The Fund provides assistance to critically injured rugby players in many different ways, one being the provision of mobility equipment such as wheelchairs, as well as many other comforts that seek to improve the quality of their lives. The Fund is a Non-Profit Organisation (NPO) as well as a registered Public Benefit Organisation (PBO) and dependent on fund raising and donations. 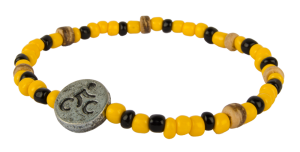 Qhubeka is an Nguni (Zulu, Xhosa) word that means “to carry on”, “to progress”, “to move forward”. Qhubeka projects aim to help rural communities progress by giving bicycles to children in return for work done to improve their environment and their community. Team MTN-Qhubeka is Africa’s most winning pro cycle race team. The talented athletes race to build exposure for Qhubeka’s rural initiatives and ride to inspire potential new athletes within the community. More than 100,000 bikes have been distributed since 2004. 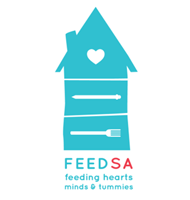 FEED SA is a non-profit organisation whose main aim is to establish feeding programmes within townships. These feeding programmes are aimed at those who receive no other forms of funding whatsoever, and to children who go to school on an empty stomach. Our main goal is to uplift South Africans by ensuring that each child from our beneficiaries is guaranteed at least two nutritious meals a day. We also assist Aids/ Community Centres, after school programmes and feeding schemes for the elderly and bed ridden citizens. In addition to the feeding programmes, FEED SA runs education and teacher training, and helps to build and set up crèches, from operations and infrastructure such as classrooms, toilets, ablutions, kitchens and offices, as well as teacher training and teaching curriculum. This too, eventually allows for sustainability and small business ventures for the teachers. 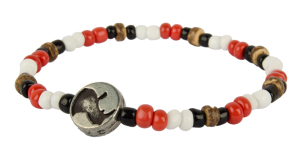 Save the Rhino International is a vibrant UK based charity (registered charity number 1035072) which works to protect all five rhino species in Africa and Asia and support the communities that share their habitat. By funding anti-poaching and monitoring patrols, environmental education, community conservation and demand reduction activities, Save the Rhino International’s goal is to deliver long-lasting and widespread benefits to rhinos, ecosystems and local communities. 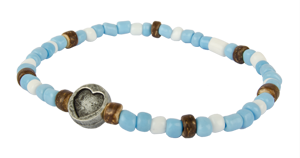 Blue Groove Africa is a Section 21 and NPO registered organization. Our vision is to “to provide the building blocks for education, through bridged and sustainable learning, environmental and feeding facilities, with skills transfer into communities throughout South Africa”. The Right to Read” campaign aims to provide 200 libraries across South Africa by 2020. Blue Groove has been appointed by the South Africa Rugby Union (SARU) for a minimum of four years, as the implementing partner for their CSI project “Boks for Books” which is a perfect fit for our “right to read” campaign. The Joost van der Westhuizen Foundation was formed by the rugby legend in aid of those suffering from the same form of fatal illnesses that he was diagnosed with early 2011, Motor Neuron Disease. Joost has created a platform through this foundation to allow people, companies and friends to support the quality of life programs available within this organisation.This is Joost van der Westhuizen’s Legacy to South Africa and the world, to everyone who watched him “J9”, carry those very words on his back and in his heart.